Mid-morning (I’m a die-hard night owl–as those who get 3 am emails from me will testify) I get up, do some yoga stretches (spinal twist and downward dog are my favorites – besides standing on my head). I drink a cup of green or black tea, swing my arms around in a little Qigong dance, lift free weights or jump on my stationary bike, and then bow my head in gratitude for another day where I can go to work for you. 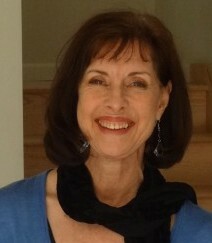 As a writer, creative-career coach, and entrepreneur who grew up in a family of creative people (writer Dad and youngest daughter, artist painter grandmother/mother/and oldest daughter), I have learned that it is possible for your creating right-brain and your career-strategy left-brain to become smooth-as-silk dancing partners. I am also your ally in the lifelong quest for a creative career that moves from one success to another. From where I sit, it is how we pay attention to the tangibles and the intangibles, the nitty-gritty external world and the often-hard-to-define-or-articulate internal world of self that graces our lives with satisfaction. Gifted by life and hard work, creatives illuminate our world. the candle sputters and dies. For the last 13 years, I’ve been developing materials and privately coaching visual artists on the best way to develop their careers. It’s only recently that I woke up (thanks to some very important people in my life!) to a new reality: what I do works for anyone who wants to build a successful, creative career in any of the arts–drama, music, dance, visual, and writing. What started it all was this quirky, little book that insisted on my attention, even though I was feverishly knocking out a doctorate in Human Development and Creativity at the Univ. of Massachusetts, holding down 3 part-time jobs, and single parenting two, teenage daughters who needed all of me after a painful divorce. 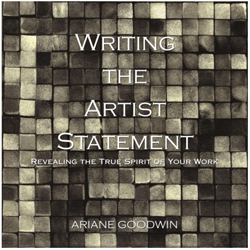 In classes, and the library, I found myself scribbling notes about why on earth artists don’t want to write artist statements–a puzzlement I couldn’t shake (the whole story is in the subsequent book). The scribbles became paragraphs. The paragraphs became chapters. The chapters led to workshops. And finally out came the only book ever written on artist statements–another puzzlement I couldn’t figure out given what I’d uncovered about the raw power of artist statements. Now, Writing The Artist Statement: Revealing the True Spirit of Your Work has been recommended coast-to-coast, from the President of the Federation of Canadian Artists to the Career Center for Boston’s School of the Museum of Fine Arts – and I didn’t even pay these guys! Then artists began asking me to help them write their artist statements. That led to a special, 5-step process I designed so even the most inarticulate artists could access their truth and exponentially expand how they engaged with the people who want to buy their art, and need just one more compelling reason to take it home. Eventually, artists began asking me for more help: polishing their portfolios, approaching galleries, maintaining gallery relationships, developing online venues for their work, helping them overcome a lack of confidence, money fears, time crunch, un-supportive family and friends, reviewing the artistic fingerprint in their work (Did they have one? Did it align with their artist identity? ), and providing accountability so their dreams could survive, and thrive, in day-to-day life. And so my private, Creative Career Coaching (aka, Art Career Coaching) practice was born. After my first website launched and I watched my income triple in 3 months, I realized that I’d hit on critical pieces about website and Internet marketing, from outside the artist community, that would benefit any creative professional hungry for practical, solid information. That’s when my smARTist® Telesummit arrived. This 6-year, running art-career conference, with a dozen or more keynote speakers each year, reached 22 countries around the world and 47 USA states. After six years, the online telesummit model changed dramatically and I was exhausted! 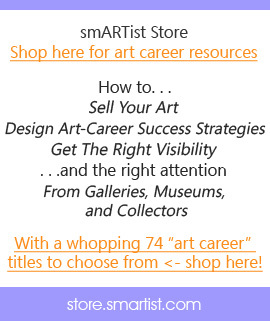 I decided, instead, to put the vast wealth of Telesummit resources into our smARTist Store where you can get the most complete library of creative/art career resources anywhere online–with 49 creative/art career authorities and 74 topics to choose from. I’m in the middle of a very exciting transition. It’s the perfect time to expand my reach and work with any creative person who wants to build a successful, creative career in any of the arts–drama, music, dance, visual, and writing. And in any cross-over career: science and art, engineering and art, medical and art, legal and art (you know who you are!). My Soul-to-Soul, Private Coaching work orbits around your deepest commitment to yourself as a spiritual human with a creative passion. Is there anything getting in your way? Are you stumbling over tree trunks as you work to realize your dreams? What does it take to transform those tree trunks into wide-open fields stretching into the blue-sky horizons of deep satisfaction? In other words, what needs to change so you can do the work you came here to do? Come talk to me and let’s move you one step closer to what your heart desires most. A great place to stay in touch is to sign up for my Manifesto on this blog’s home page, right-hand side. I love working with creative *professionals like yourself. When I help you move your art career to the next level, it rocks my world! This is the whole point of my annual, professional (there’s that word again!) development, Art-Career Conference, the smARTist® Telesummit. And it’s also the point of this smARTist Career Blog, where you can get updates that keep you up-to-date! This blog is for you and your art career, and between the two of us (Me: coach. You: artist.) all you need are the golden keys of Information, Inspiration, and Insight to enter your art career kingdom. My hope is that you’ll find them here – all bright and shiny and itching to unlock whatever gate stands between you and success. I like ideas that ask me to think as wide as the sky. So my challenge – to myself – is to serve you a combo platter of personal and professional (there’s that word again!) posts that do just that: widen the sky for all of us. On Tuesday’s smARTIST’s Bragging Rights, my Telesummit alumni (means you registered for 1 or more of the live annual conferences) get to Brag About Their Successes. Do you have a recent success? Tell me! On Friday’s Featured smARTIST, you’ll get to look at a work of art from one of the participants who attended my live, annual smARTist® Telesummit. Please… don’t be shy — come join the conversation. The New World we’re living in is all about connection, collaboration, and conversation. It’s where we learn best and expand our options as far as the eye can see… and beyond. A great place to start is right here > my smARTip newsletter. It’s short. It’s once a week. And you can take action right away! Click here.